The Sony Wireless Speaker ZR5 offers multi-room audio, one-touch Bluetooth connectivity and HDMI connections to improve the sound coming from your TV. 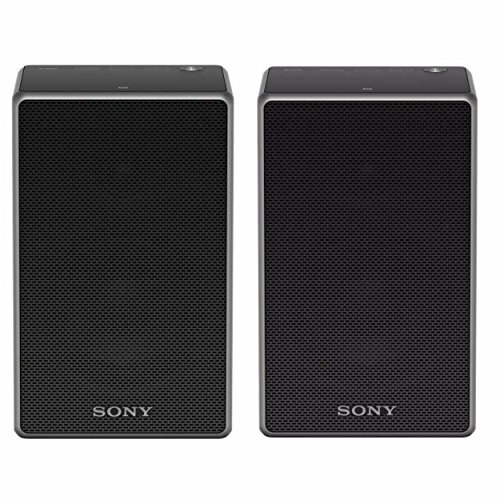 This two-way speaker system can be arranged in wireless stereo mode and all of its multi-room setup and other controls are tweaked through Sony's SongPal app (makes remote control simple and allows you to use more than one Sony wireless speaker simultaneously). There's also Bluetooth connection and dual passive sound radiators for enhanced clarity. In addition to support for Google Cast and Spotify Connect on both speakers, with Wi-Fi and NFC, you can stream music easily to this Sony Bluetooth wireless speaker. HDMI (ARC), USB and AUX connectivity. The ZR5 connects to HDMI (ARC), USB and AUX so you can plug in to all your favorite gadgets. Dual passive radiators work with a woofer and react to the movement of air through the speaker, artificially creating space in the speaker cabinet. This space allows more air to flow through the speakers, enabling enhanced sound—especially at low-end frequencies. LDAC technology allows you to enjoy high-quality wireless audio via Bluetooth. With 3x the data transmitted of conventional Bluetooth, LDAC provides an enhanced wireless listening experience for all your music.